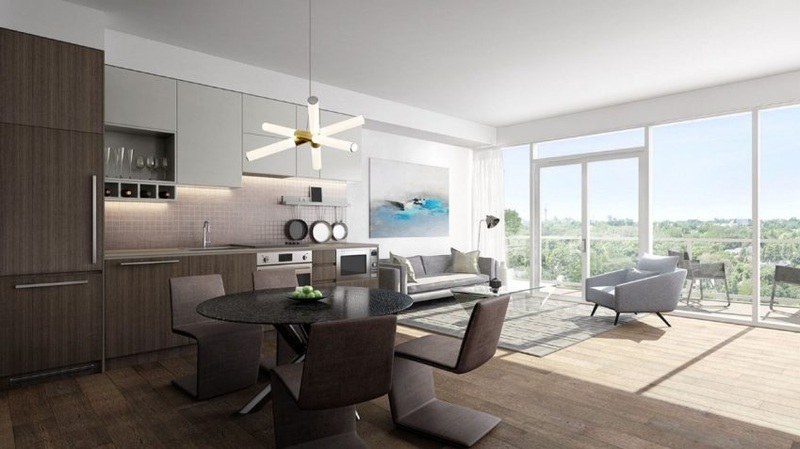 The modern suites at Transit City will be open concept and range from 500 sq. ft. to 1,000 sq. ft.
"I haven't heard anything about the Walmart closing at Vaughan Metropolitan Centre, but it wouldn't surprise me; the real estate at Jane and Highway 7 is far too expensive for it to remain as a Walmart for very long"
Vaughan Metropolitan Centre - "If you NEED a car, it's not much of a neighbourhood"
"You will not need need a car in this so-called "community" - The new Toronto-York Spadina Subway Extension (new subway station shown in the above rendering) will be opening in December of this year (according to ttc.ca) - The subway will also connect with the new York Viva BRT which will be ready in 2020 - The York Viva BRT is being done in stages, so I am not sure when the York Viva BRT will actually reach Vaughan Metropolitan Centre and connect directly with the new VMC Station"
"I'm not against new development, but this is not a community or neighbourhood; it's "just a bunch of buildings" to me - I think we need to do better than this"